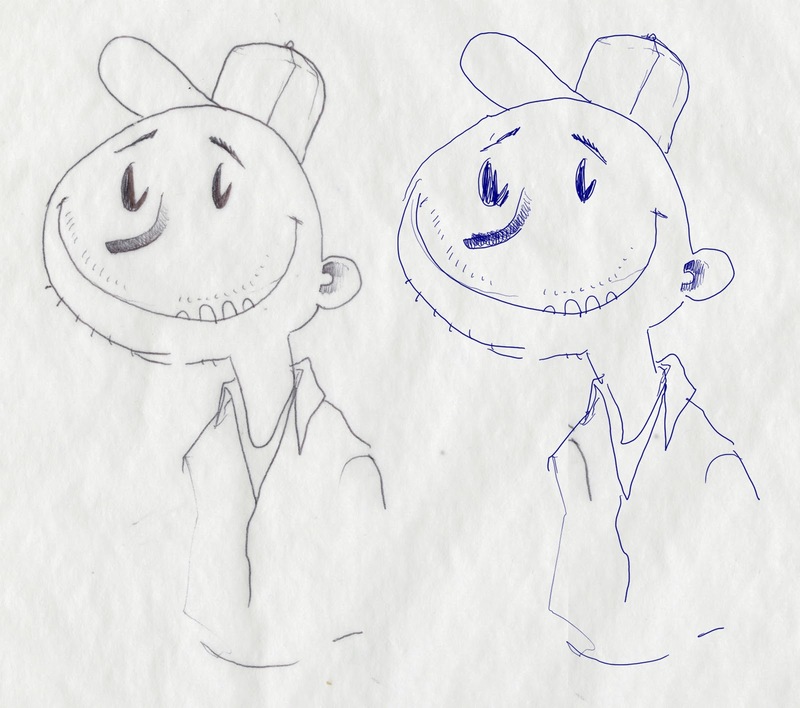 I've had a little bit of time to test out Wacom's Inkling. 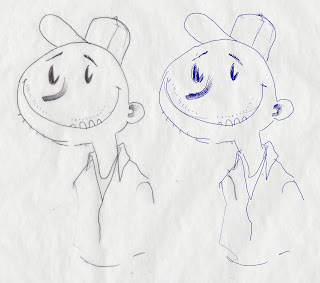 Below are some comparative drawings and a full review of what I thought about it. I was really excited to get my hands on the Inkling. I had grand ideas of trying some animation all on one page with the frames separated by layers, but I thought I should try some test drawings. I put the drawings side by side so that you could see a comparison (click them to see bigger versions). As you can see, the drawings turned out less than wonderful. Some lines ended up off register, others just failed to show up at all. I was worried about having to keep my hands out of the way of the receiver, so I don't think that is what screwed it up. I wish that Wacom would partner up with another company and give us the tools to have our Ipads and other tablets able to operate like a Cintiq. I would gladly pay more than $200 for that. Sadly I will not be purchasing the Inkling. I just don't see the point in it. 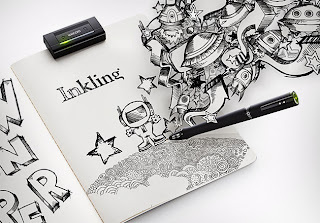 Let me know what you think of the Inkling if you've tried it. Or if you haven't gotten your hands on one, and still have a question I'll try to answer, just leave a comment below. Check out my other (better) drawings and films, and follow me on twitter! Glad you wrote your review. I have been waiting for them to hit the shelf here and I was going to get one. I think I'll wait now until they work all the bugs out. Thanks for the review, I'm so sad to see that the inkling didn't live up to what we thought it would be. Those comparisons are just disheartening, I thought I would be able to do some cool things with the inkling as well! Totally agree in regards to the ipad thing. Apple and Wacom should team up and give us full pressure sensitivity with a stylus in the next iPad. I would be there day one. With my Intuos, and pretty much every other Wacom tablet, the pressure is in the stylus, so there's no reason they couldn't implement this today. In case you don't know already, there are a lot of tablets and convertibles that "operate like a cintiq". Of course they're not Apples, so they're not as well known. ...basically anything with an "active digitizer". The Samsung Galaxy Note is another device with a Wacom digitizer built in. Yeah, I thought this was true, but it didn't make sense that there wasn't a good pen tool for every tablet on the market. Whats the deal? Do I just not know about them? You're welcome. 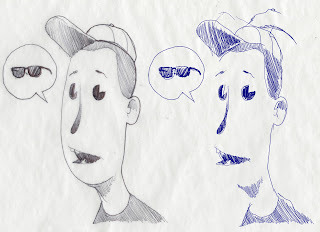 I was a bit sad about writing a negative review because I love using wacom's other products. They really help me out. This one was just substandard. Cool! I'm looking forward to your opinion as an artist on them! I tend to be a bit (very?) snide in my comments regarding Apple because I find it unfair they get so much credit for inventing things they actually did not invent, but I have to say they do make good products. So perhaps the first Apple tablet with active digitizer will be the first one to feel like a pencil on beautiful paper! There is a good reason why Apple can't implement it today: active digitizers (like wacom) require a special type of screen! The iPad has a purely capacitive screen, the precision of which is far beneath that of a pen-enabled screen. So either you have a device with a resistive screen and you use your active digitizer (ie wacom stylus) on it, or you make a hybrid capacitive/active-digitizer-enabled screen. The first solution does not deliver a user experience up to par with the Apple standard (resistive screens are a bit annoying to use), and the second solution brings up the price + requires a more powerful device, which is not consistent with what the iPad is meant for (a relatively cheap web-browsing / game platform). If you want to check out device that have what you want (although not as "pretty" as Apple products), check out the Asus eee Slate ep121 or type "convertible tablet" or "active digitizer tablet" in Google. I have an elitebook 2740p and use it in photoshop all the time, the pressure sensitivity is awesome too. I read that it does matter how you hold and position the pen. 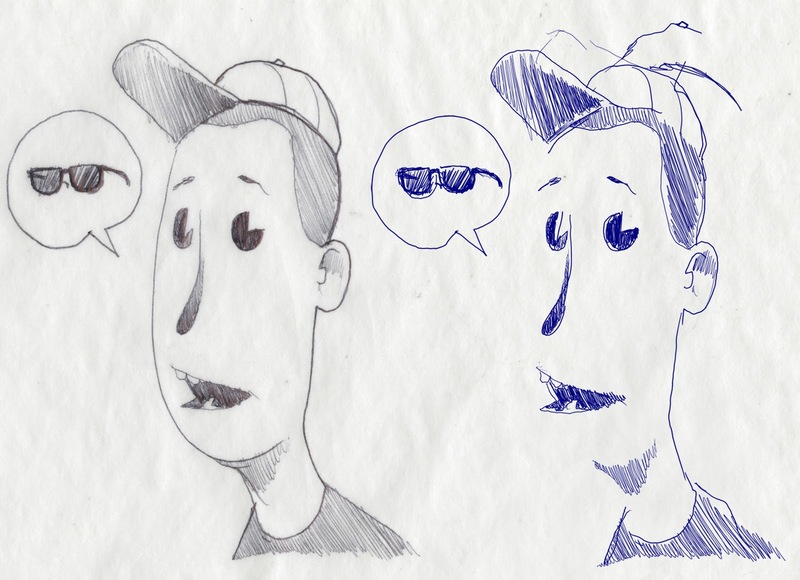 But I figured the tool was useless to me if I had to learn to draw a completely different way. I think the technology just needs a few more upgrades before it will be useful to me. I would have to say that the promotional advert for the Inkling is verging on false advertising! I adore my Intuos tablet, but im really struggling to see where the Inkling could imrpove my 'traditional' workflow of sketch & scan. The laboratory conditions needed to create anything near satisfying surely conflict with the talk of it being a tool for capturing initial sketches?! The beauty of the impulsive sketch is just that - that it is done in the spur of the moment - sketchbook in one hand, while you draw and hole your umbrella in the other! raindrops and all! !